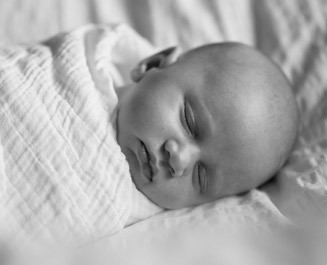 It’s a great feeling when your baby is wrapped up in freshly washed clothes – and even better when you know their clothes and linens are safe and gentle against their skin. When cotton clothes are made, harmful chemicals like softeners, silicone waxes, heavy metals and ammonia can be introduced at different stages of the process. That’s why washing new clothes with a gentle detergent works well in reducing the amount of these toxins that come into contact with your baby’s skin. It pays to keep an eye out for optical brighteners and synthetic dyes and perfumes, which can be especially harsh on your baby’s delicate skin. Residues from these chemicals can also hang around in clothes and sheets and might cause rashes and eczema. You might want to try a liquid detergent because these tend to have gentler cleaning ingredients. And fragrance free can be a good option to avoid contact dermatitis for those with ultra sensitive skin. 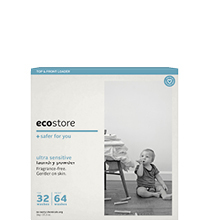 Our Fragrance Free Laundry Powder is great for baby’s delicate skin and for new mums, too. 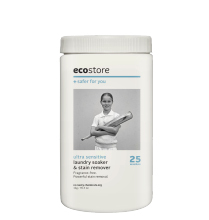 It’s a gentle but top performing laundry powder that’s ideal for those who suffer from allergies, eczema and skin irritations. It’s also economically concentrated, giving you more than 32 washes from a 1kg pack. 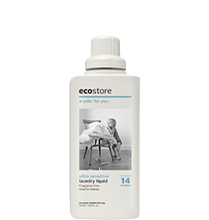 This gentle formulation will leave baby’s clothes fresh and clean. It’s concentrated for value for money, offering more than 28 washes from a 1L bottle. Our Laundry soaker lifts the most stubborn stains your baby or toddler gets on their clothes, and brightens colours and whites. It’s economically concentrated, giving more than 25 washes per 1kg container. Click here to view our full range of Fragrance Free products. Third party certifications like Environmental Choice guarantee products have been made with consideration for the environment.